The plant nursery and Rod’s Garden Shop will be open for pre-Christmas sales on Saturdays & Sundays (10am-4pm) in December. If your looking for a great Christmas present or buy your lotus or waterlily early. Visit the nursery on weekends this December. NOTE: The gardens, cafe and picnic facilities open on 27th of December. Nursery Open Times from Dec 27th – April 22nd (7 days 10am-5pm). No ticket is required to access the nursery. Located at the Blue Lotus Water Garden is our retail plant & flower nursery. 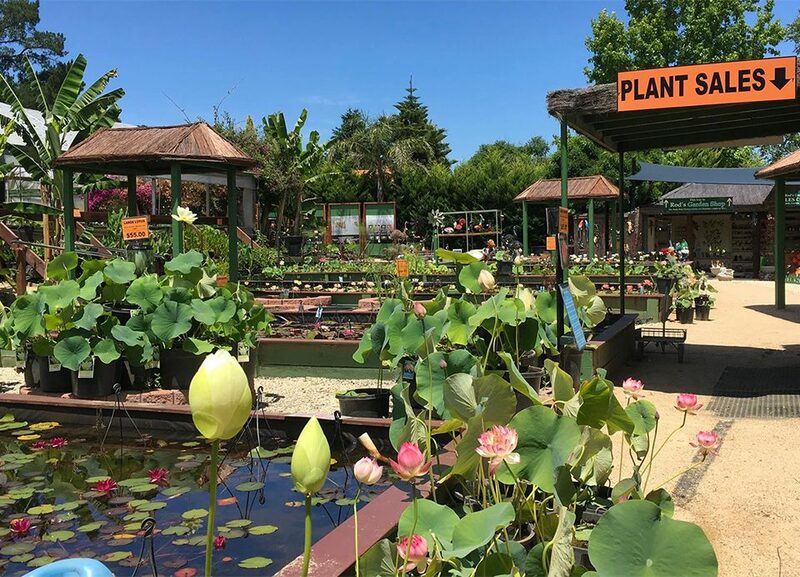 We have Victoria’s largest range of potted lotus flower plants and waterlilies suitable for backyard pots, ponds, dams and lakes. We also carry an extensive range of other flowering plants like canna lilies, gingers, begonias, bougainvillea, hibiscus, ornamental water reeds, taro, banana trees and other popular garden plants. And we sell bunches of cut lotus flowers & waterlily flowers (pre order required), lotus pod stems. Open Times: Dec 27th – April 22nd (7 days 10am-5pm). No ticket is required to access the nursery. 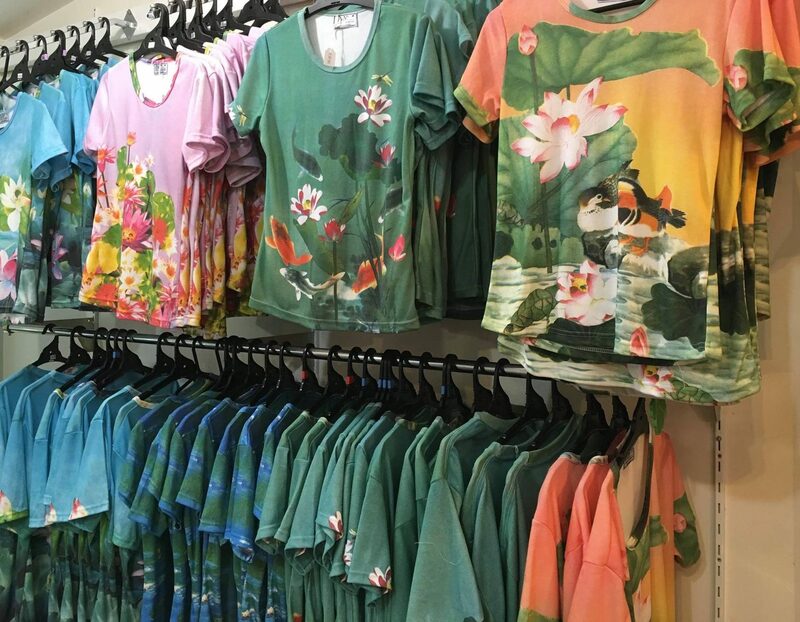 Located next to the nursery is our lovely gift shop that offers visitors a cool and comfortable space to browse our great range of indoor plants, souvenirs, t-shirts, hats, gardening books, homewares, gifts, artwork and garden themed products. Try on our exclusive range of lotus & waterlily tops or sit on the comfy couch and watch a garden video or read a book. Rod’s Shop Open Times from Dec 27th – April 22nd (7 days 10am-5pm). No ticket is required to access Rod’s Garden Shop. For all your garden needs including special fertilizer for lotus and waterlilies. Rod also sells a range of pots, ponds and planters of all shapes and sizes. Plus solar pumps and solar garden accessories, garden and outdoor wall art, pond fish and pond accessories, pond and garden ornaments, wind chimes of all sizes and a large selection of garden figurenes.